Classic arcade and Nintendo co-op game Jackal might see a WiiWare remake by Konami, as suggested by some screenshots on a digital artist's web resume. Jackal -- a top-down arcade shooter -- was a personal favorite of mine. 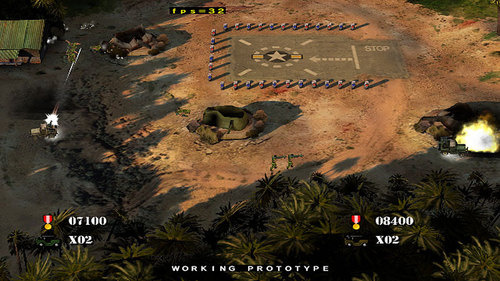 Two players control jeeps that pick up ally troops and make messes of the enemy's buildings, vehicles, and personnel. Konami has been remaking titles for WiiWare under the "ReBirth" moniker, so this rumor is not completely far-fetched. We'll keep our ears to the ground. Page created in 0.8521 seconds.